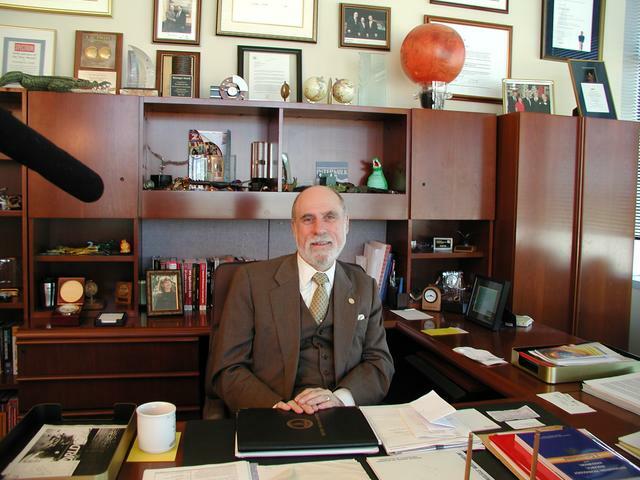 Vinton Cerf. Just name either makes people sit up and take notice or it completely goes by them. 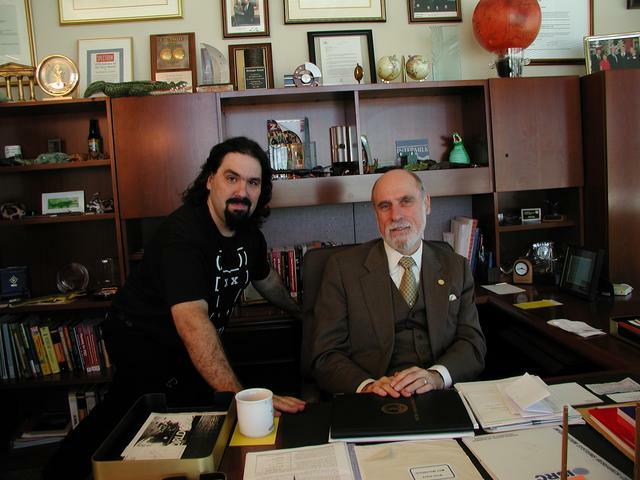 One of the creators of TCP/IP and often called "The Father of the Internet", he's a living legend. He's one of those people lucky enough to have midwifed an amazing technology and watched it grow from a small research project into a worldwide phenomenon. Of course, he's the father of the Internet, not BBSes... so why did I contact him? 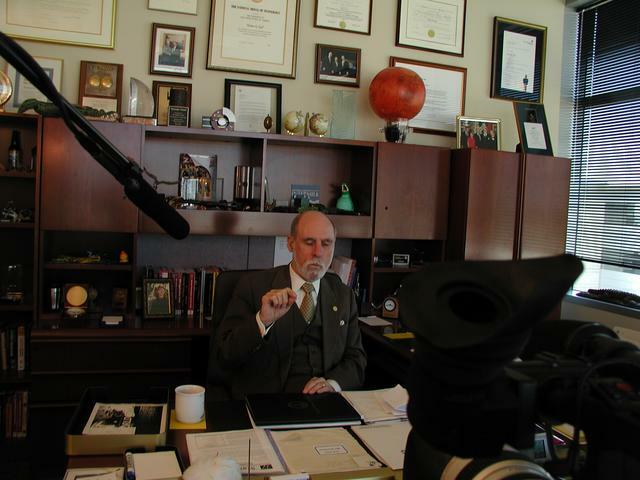 Well, going through the audiotape recordings of BBSCON 1993 (hosted in Colorado Springs, CO), I found out that Jack Rickard had invited Dr. Cerf to come speak about the Internet to the convention. Perfect! 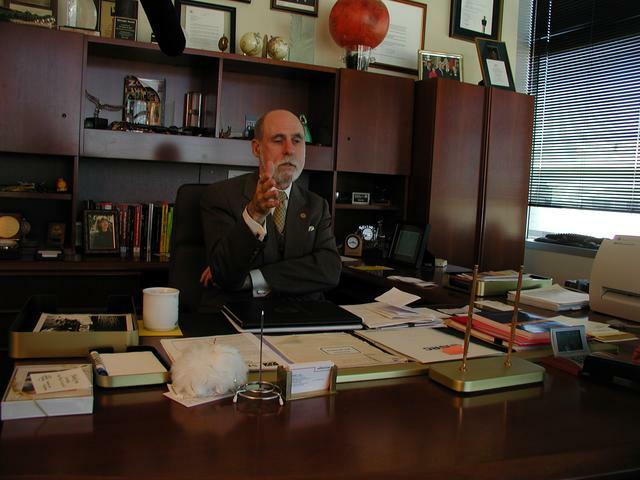 So this showed me that Dr. Cerf had not only known about BBSes, but known about them in the context of the BBS industry. Speaking in front of the audience back then, the general idea of his speech was that the Internet was a growing entity and worth the time of BBS operators to connect to and learn about... how right he was. So it's one thing to decide that someone should be interviewed; it's another entirely to contact them out of the blue and ask. Well, ask I did and agree he did! Incredible! 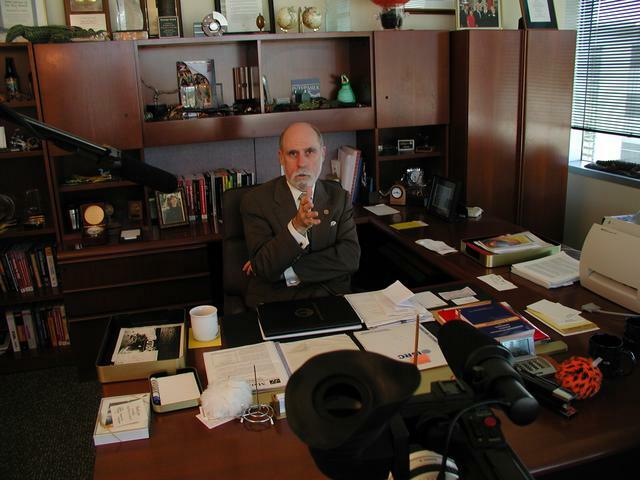 I was given his secretary's contact address and with her, I arranged for 2 hours of Dr. Cerf's time on a Friday morning in September. Here was my "anchor" for a trip down to Washington DC to interview a host of folks. I had found a hotel just down the road from the MCI/Worldcom building where Dr. Cerf's office was, so there'd be no chance whatsoever of getting lost or stuck in traffic before arriving. 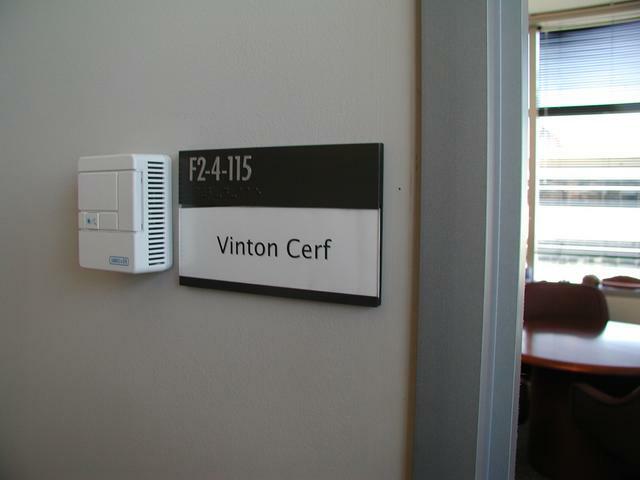 Just before I came to Washington, Dr. Cerf's secretary had sent me a massive "So you're going to have a meeting with Vinton Cerf" information letter, which basically told you every possible aspect of getting there on time, knowing where to park, how to call in to get escorted in, and so on. Very nice! This was the first interview where I'd gotten that kind of formal instruction set; I like it. The MCI/Worldcom building campus was full of massive glass and metal structures against a generally flat landscape; I found them easily and pulled up, trying to clear my mind of outside influences and trying to decide what questions I would ask. 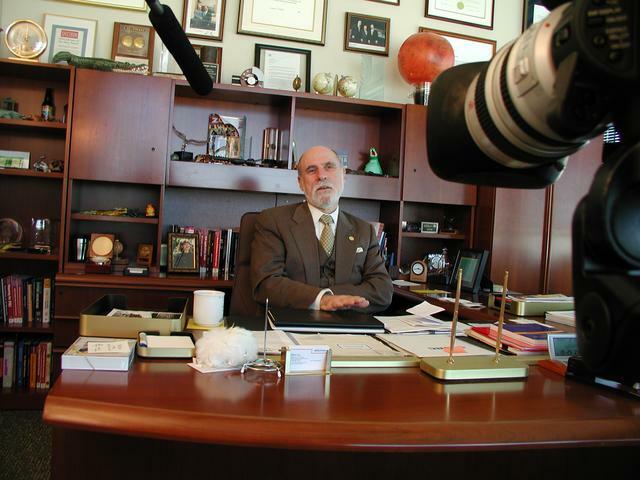 Normally, I find the questions just come one after another when talking to a person, but I knew that in this case Dr. Cerf's interview wasn't just for the documentary, but also a recording of him at this time of his life, and I wanted it to be a good, solid transfer of information and opinion. 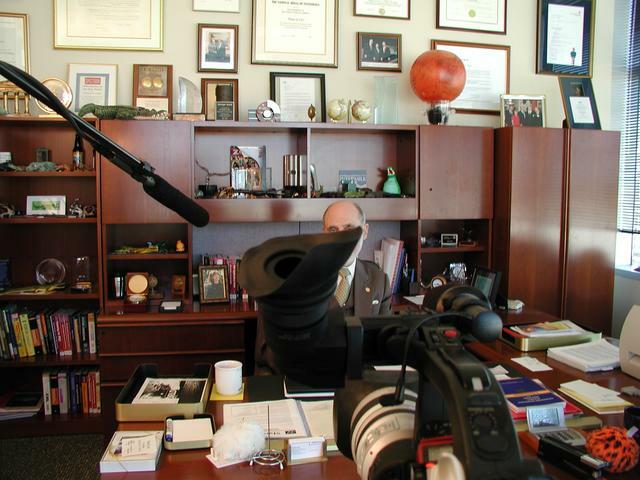 As it turned out, I needn't have worried; subjects were not the problem for the interview at all. 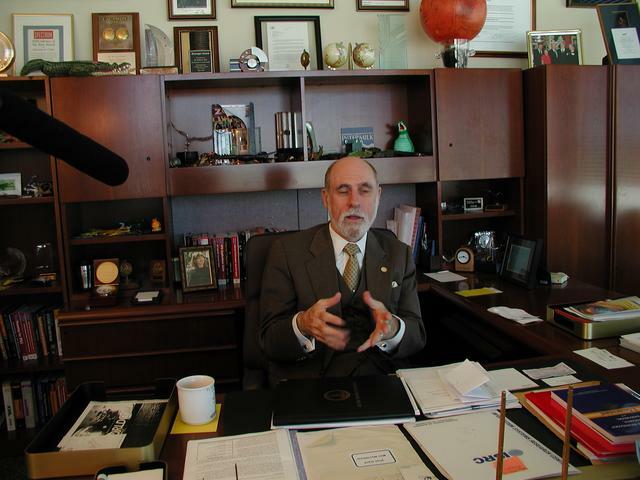 I was escorted into the building at about 9:15; I was worried that I'd left Dr. Cerf waiting, but he was coming into the building as we walked down the corridor to his office, so there'd been no problem. His office is this really nice corner one in the building, and had some beautifully large windows on two sides. I used these for the primary light source and the light kit for the fill. 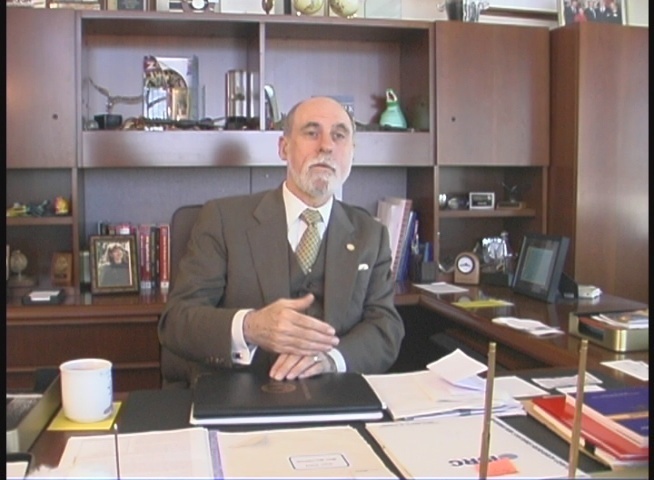 As a result, Dr. Cerf is clearly in an office but there's a slightly different tinge to his light, which I think looks better than just flourescents shining down. 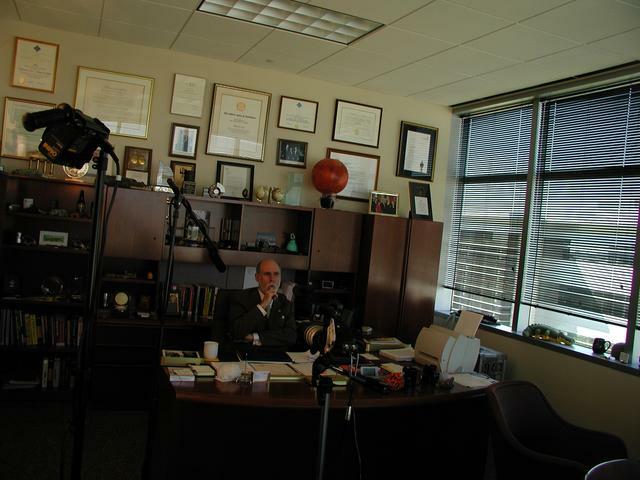 On initial glance, after reviewing the tapes, it is likely that his thoughts on BBSes coming to the Internet and their place against the Internet will be what's used in the documentary...just like I'd hoped. 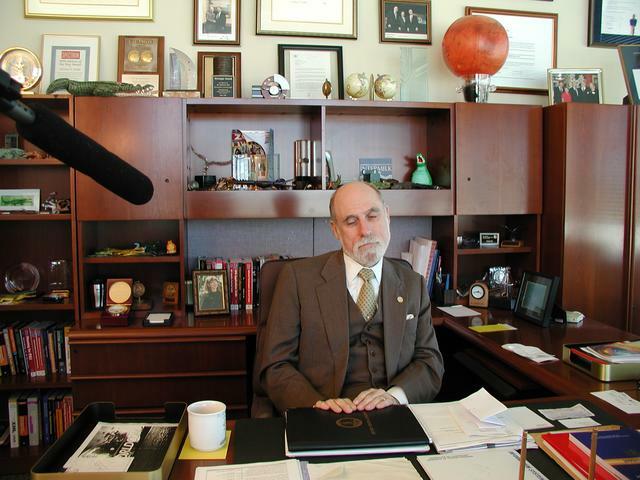 Nothing better than having Dr. Cerf mention a few words about the Internet in one's documentary. It'll really make a splash. 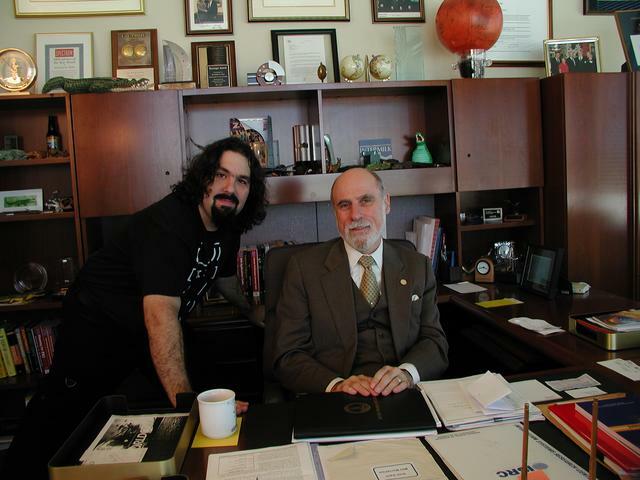 Of course, I couldn't resist asking Dr. Cerf for a picture with him, which are the two final photos. 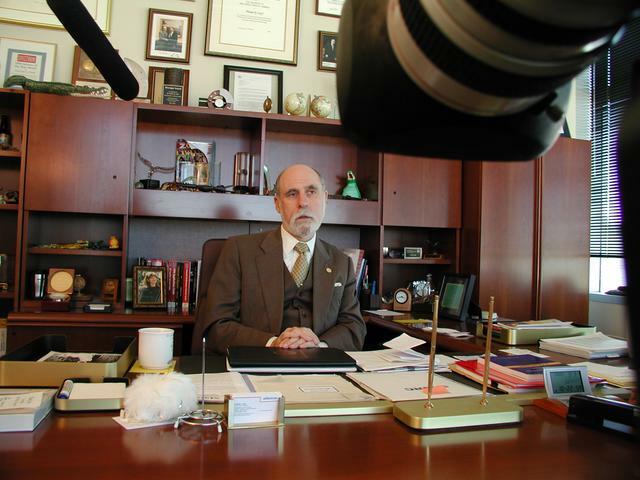 The only thing that I think went not-so-well with this interview is that on the tape, if you look over Dr. Cerf's shoulder, you can make out a dull reflection of my head as I'm standing near the camera. Those large windows behind me cast my shadow! I don't think it'll be a major problem in edited form, but it does show a lack of observation on my part. A shame, really. Well, at least it didn't cast it across his face.